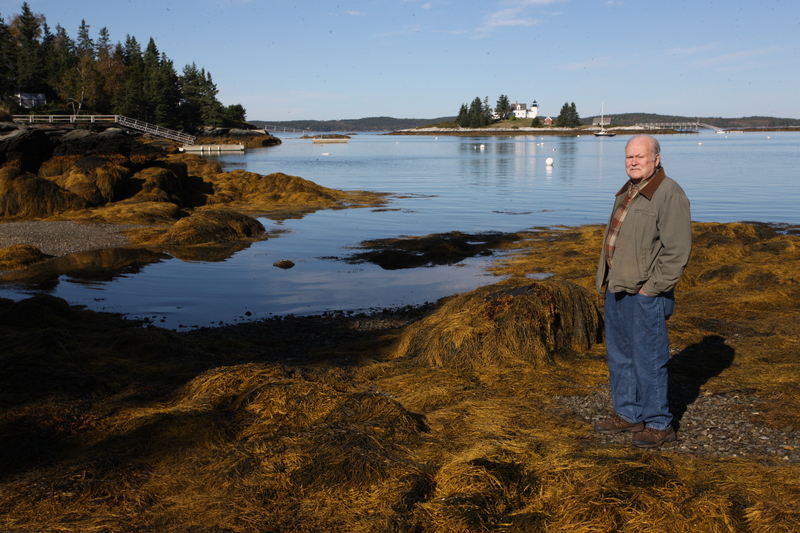 It’s hard not to love a location with a name like Little Deer Isle, Maine. Dave Mills certainly couldn’t resist. He and his wife, Susan, both had high-stress jobs in Washington, D.C. – he with the American Psychological Association and she in mortgage banking – and they had vacationed in Maine to get away. They bought some land there, thinking they’d retire in the area. But they were anxious and decided not to wait for retirement. Instead, they built their dream home overlooking the Penobscot Bay and moved in. Dave (’55 industrial administration; MS ’57 psychology) had taught psychology, administered ethics education programs, and worked with the CIA and other governmental agencies, but he had never been in private practice. But once he and Susan moved to Maine his clinical practice took off and his offices in Bangor and Blue Hill were soon “swamped with clientele.” Though Dave is mostly retired, he still works one or two days a week, meeting with patients on topics such as depression, alcoholism, marital issues, and spousal abuse. Little Deer Isle is about three miles long by one mile wide. Its population consists of just a few hundred year-round – mostly artists, writers, and lobster fishermen – but swells during the summer with “the people from away” as the locals call them.